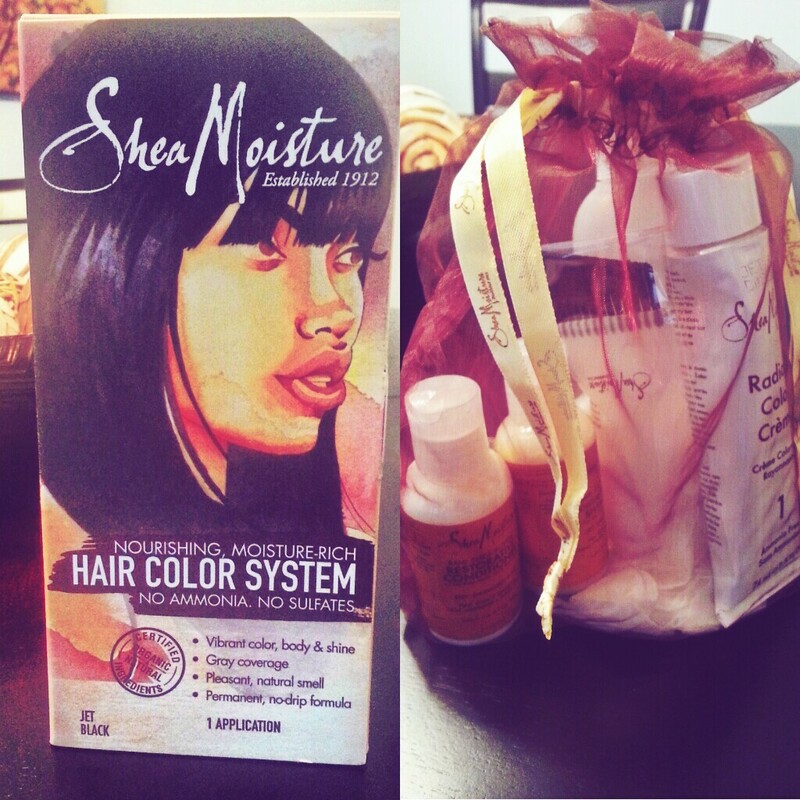 I picked up the jet black Shea Moisture Hair Color System at Target for $14.99. The box art is actual paintings of ethnic women and is so unique and DOPE! The contents inside the box are all conveniently stashed in a cute little drawstring sack. I was very impressed with the packaging. Let me start by saying that I am not aware of a natural permanent hair dye. Just about all hair dyes contain some type of chemical that is used to permanently alter the color of the hair strands. So, if you’re a “Natural Ingredient Nazi” then this product is not for you. Henna will most likely be a better option for you. I would say that this product is a somewhat healthier and safer option for coloring your hair because it is a moisture-rich, permanent hair dye with some natural and certified organic ingredients for any hair type. I followed the instructions, prepared the hair dye and proceeded to apply the dye to my sectioned hair. I noticed that the hair dye was very rich and thick. The application was a breeze and there was no drippy mess. My hair did not feel hard whatsoever, the dye actually softened it up a great deal. I made sure to thoroughly saturate each section with dye to avoid missing any areas and ending up with patchy color. I slapped on a plastic cap and let it marinate for 30-40 minutes. My first impression while I was rinsing out the dye, “DAMMMNNN my hair is soft!”. My hair was CRAZY soft. I rinsed my hair for several minutes to ensure that all of the dye was out. I then shampooed, conditioned (I sat under my steamer for 30 minutes) and detangled with the products that were included in the kit. Throughout this entire process I was still thinking, “DAMMMNNN my hair is soft!”. LOL I rinsed out the conditioner and styled my hair as I normally do. 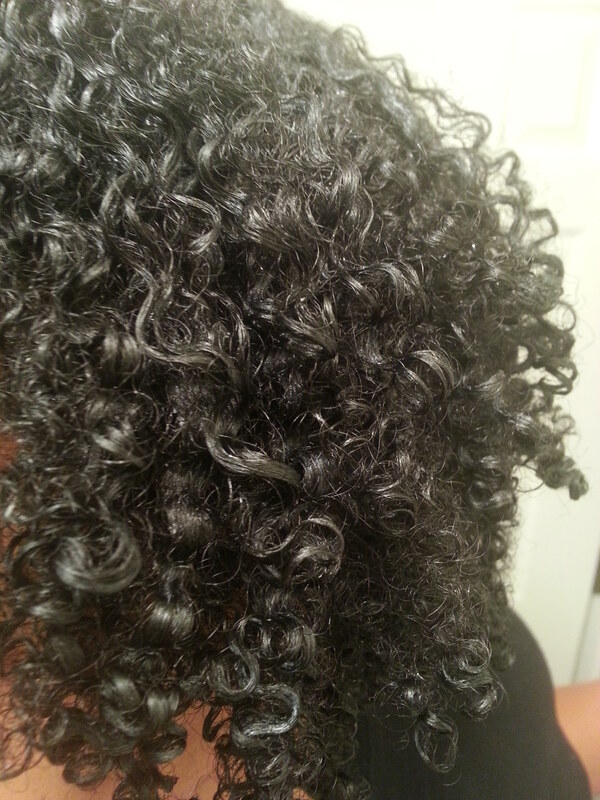 After styling and allowing my hair to dry, I did a thorough inspection to see the results. My hair was jet black…I mean JET BLACK. I didn’t miss a strand! My hair was extremely soft, shiny and the color was vibrant! I was in LOVE! After sporting my new color for several days I noticed that the color did not rub off on the collar of any of my shirts, as this use to be a major issue with other hair dyes I’ve used. After several weeks I noticed my color began to slightly fade. I’m not sure if it’s because I sweat my hair out 3-4 times a week while working out, but I expected the color to remain vibrant for at least a couple of months. It’s been about one month, give or take a week, and although my hair color is still very dark, it is not jet black anymore. I see traces of dark brown throughout the my hair strands, especially the ends. So, I’m guessing that would call for a touch-up of color every couple of months or so, but I won’t be doing that. I plan to dye my hair a couple of times a year to maintain the jet black/black color. I did not have any issues with breakage or dryness. My hair acted exactly as it would have without the dye. 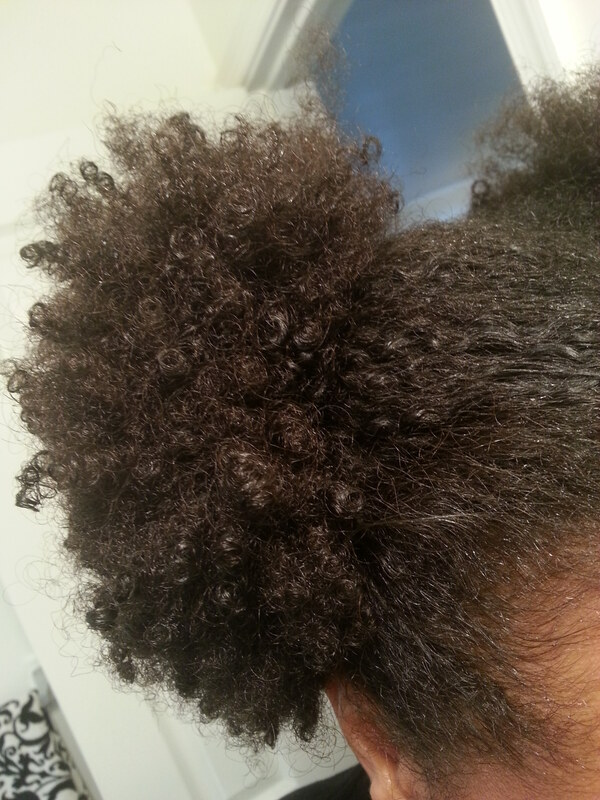 I didn’t have to make any adjustments to my hair care regimen after dying it. Overall, I give this product a B-. It would have been an A+ if the color wouldn’t have faded so quickly. As I stated earlier, I do not dye my hair often at all, so I’m not sure how often people touch-up their hair with hair color. I love the color, but I do not want to make a habit of dying my hair once every couple of months. I wouldn’t consider this issue a deal breaker since I was satisfied with all other aspects of the Shea Moisture Hair Color System experience. I also felt that it was worth the price because it came with a few sample sizes of their popular hair products. I actually still have leftover, hair elixir and shampoo from the kit. That was most definitely a plus+ in my book. I will definitely be using this hair color system again. 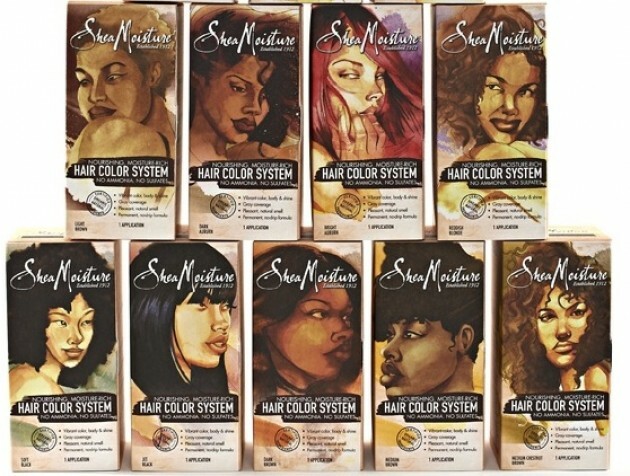 Have you tried the Shea Moisture Hair Color System? If so, what are your thoughts on it? I’m glad you posted this… I’m about to dye my locks, think I’m going to give this product a try! Have you tried cleansing with a non-lathering conditioning cleanser (I’m talking no bubbles, not just non-sulfates) instead of shampoo? I use WEN but there are many others. They don’t strip or fade color. Hmm, I’ve never tried a cleansing conditioner. I will definitely keep this in mind the next time I color my hair. Thanks for the suggestion! GIRLLLLLLLLLAAAAAAAAAAA!! You had me Rolling over here! I just canceled my color appointment with my stylist! Thank you so much for this review! I’m so pressed, how bout I’m RUNNING to target on my lunch time just to pick it up today!! I’m EXCITED to color and can’t wait!! My gray hair is sooooo Disrespectful!! LOL MUAH! Thanks for the tips! I actually dyed my hair auburn and it’s growing out. It had to grow on me, but I REALLY miss my jet black! I just dyed my hair with Beautiful Brown (semi-permanent) two weeks ago. How long before I can use this product? Thank you. Hate to be a Debbie Downer, but this stuff has PPD in it. Lots of people have allergic reactions to it from mild to life threatening. I happen to be one, and was so excited about this until I saw that 😦 So everyone make sure you do a patch test everytime you color (even with henna), because allergies can develop. (I turned forty and became allergic to everything😤). I give this advice based on the mistakes I made. And for those of you for whom this product works I say WOOHOO! I never permanent dye my hair, I’ve done semi permanent when I was in college. I wanted to dye my hair to try something different. I heard Shea Moisture is a good product and seeing your reviews and results of the product, I’m so impressed how nice it came out. I’m definitely going to give it a try. I think I’m a go with a very light brown color. Thank you for the tip! I think I’m going to give this a try. After reading your review I’m tempted to go black however I was thinking a caramel color! Thanks for sharing!